Tanzania is a magical safari paradise with stunning scenery, abundant wildlife, and diverse cultures. This amazing safari will take you to the Ngorongoro Crater, to enjoy its blue-green vistas and unparalleled concentration of wildlife, the Serengeti the is the most famous national park in Tanzania, which is home to a remarkable amount of wildlife, including lions, cheetahs and at certain times of the year, the wildebeest migration. 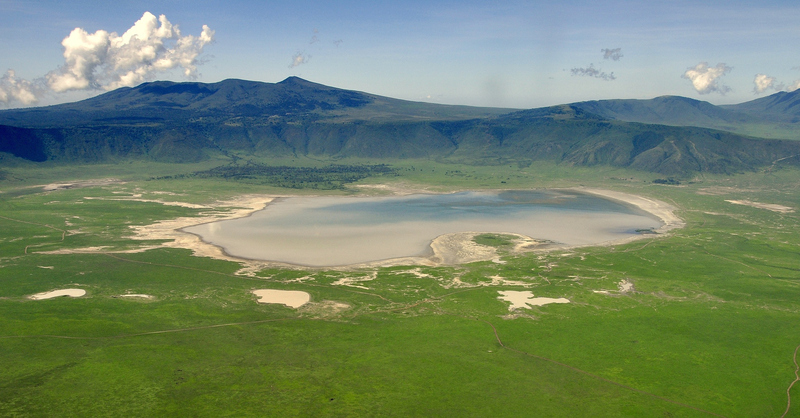 Pick up from your hotel and depart for Ngorongoro with picnic lunch inside the Ngorongoro Crater. Located 190 kilometers from Arusha town, this is probably one of the best places in Tanzania to see ‘The Big Five’. A healthy population of black rhino and some of the largest tusker elephants left in Africa today are the prize spots, but the crater is also home to good populations of lion, leopard, and hyena along with healthy herds of wildebeest, buffalo, and zebra. This Conservation Area (NCA) is an extensive highland area along the eastern arm of the Rift Valley, with the world – renowned Ngorongoro Crater as its focal point. After breakfast, we drive to Serengeti National Park for about 145 kilometers. Serengeti, as you may already know, is a place you should not miss in Tanzania. Its main attraction is the Great Migration, consisting of up to 2 million wildebeest, 200,000 zebras and 350,000 Thompson, impala and Grant’s gazelles. But all year round, you have almost guaranteed sightings of the Big 5 among other animals. After breakfast, we proceed for a full day game drive at Serengeti National park western corridor grass plains depending on migration location. The Western Corridor follows the path of the Grumeti River up towards Lake Victoria. This region provides superb wildlife action in May and June when the migrating herds cross the crocodile-infested waters of the Grumeti. After breakfast, we head back to Arusha for a game drive and picnic en route. Drop off at your hotel or airport.